Hotel ibis budget Dresden Kesselsdorf. Book now! Free Wifi! Larger room comparing with other Ibis budget, easy check in, friendly staff, super clean room, comfortable bed and linen. Tidy, neat room, well thought out. Accommodation and service, very well. But there is small trouble. You two times took money for accommodation. I booked the first of 50 euros, the second time I paid on a reception in hotel. I ask to return advance payment.!!! Basic, cheap, OK for a night or two, not more. Toilet without toilet seat and lid, washbasin in the room, not in the bathroom. Bathroom door with noisy spring lock. Third bed is mounted on top of double bed below; Mind your head! Door opens with 6 digit key code. Breakfast is basic. Located in an industrial area far away from Dresden. You need a car. Reception desk staffed only during limited business hours. This hotel was our option because other, better hotels, closer to Dresden downtown were fully booked or quoted extra high prices in the pre-Christmas season. Basic, cheap, OK for a night or two, not more. Staff friendly and helpful. Bed comfortable and clean. We don’t like that receptionist didn’t reply in e-mails in english! Not really friendly welcome (Parking was nearly full, some other guests did not park in the markings so we had a hard time finding a spot -> Guy who was on night service was not helpful at all with that and even did not believe us). The room itself was not cleaned thoroughly (e.g. there was beard hair from former guest(s) in the shower on the floor), there was a huge piece of paint missing on the wall near the bed and the carpet hat lots of stains. It looked as a worn down room with not much effort put in cleaning. (Pictures were taken and are available). The Room was not really needed to stay but only to sleep during travel,, so it was somehow ok but for a longer visit (that is more than one night sleep) i would not book or recommend this hotel anymore. A friendly and quiet place to spend the night. Too quiet and feeling at home during our stay. Nice quiet place in the countryside with very polite and friendly staff. Recommended! Good bed, cosy, super breakfast, fast WiFi, big parking. 15 of 10 possible points, a real hotspot. Can recommend it with regard to price level, staff, room, public transport connections, travelling by own car super location near motorway. Top. The hotel was clean breakfast ample and staff polite and helpful. All good, meeting my expectations. Breakfast was nice too and staff really kind. It was a bit strange to have the sink the other and of the room vs. the toilet, shower toilet combo felt an odd experience. I got the PIN for the room rather late. Since I was driving, I was concerned my phone battery goes dead towards the end of the trip without a chance to charge and loose access to mails and hence to the room if I am arriving late night. That is something to improve I think. As expected. Overnight stay with family. Nice and cheap place to relax. 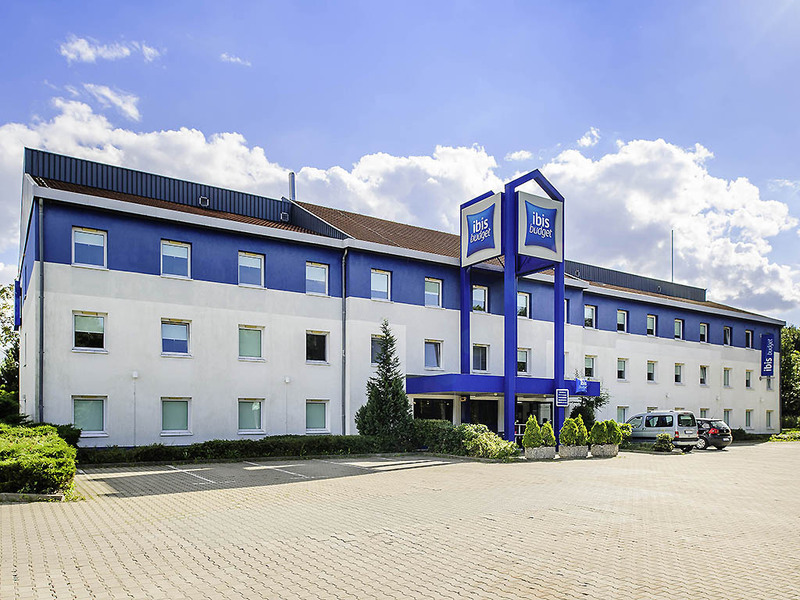 I booked two nights at the IBIS BUDGET DRESDEN KESSELSDORF hotel, relying on the IBIS Network standard. I checked in on 11/05, with payment in advance. Upon arriving in the room, I could observe that the standard was not the same as other hotels in the Net. There was no elevator, the bathroom was very tight (resembling an airplane toilet), the toilet model had no lid, the shower cubicle had no curtain and the sink was outside the bathroom on the other side of the room. There were not enough towels and pillows for the 3 people. We left the suitcases, without touching anything, and went to find a place to feed ourselves. Along the way I decided, with my wife, that this was not a room within the standards we are accustomed to. In less than 20 minutes we returned and requested a cancellation of the stay. The front desk clerk, who at no time had shown warmth or sympathy and practically refused to speak English, showed a ostentatious annoyance with my request and said that I would be charged a daily rate with breakfast (which is optional) included. Although I paid in cash, I said that the second daily amount would be credited to my credit card. I believed in the reputation in the IBIS network, as I usually do in my travels, and ended up having a huge setback and a loss of 66 euros, according to the A-162417 invoice. friendly reception, comfortable room, good location with decent inn nearby. the hotel is located on outskirts of Dresden, loads of parking space around. Basic but clean. The annoying bit was the attitude of night receptionist who not only spoke no English but also tried physical contact (keeping his hand on my shoulder) and insisted on closely watching the PIN pad when I was entering my credit card credentials. I felt his rotten breath long after and decided to change my PIN number with my bank. Pro's: quiet zone; close to the highway; friendly staff; free parking. Con's: no A/C; lack of insect net on the window.